The principal vernacular and traditional lingua franca of Cyprus is Cypriot (or Gibreiga), which is rooted in the ancient Greek used throughout the eastern Mediterranean before the time of Christ. Also spoken on the island is Gibrizlija, introduced by the Ottomans in the sixteenth century, as well as pockets of Armenian and of the sadly almost extinct Sanna (Cypriot Maronite Arabic). The principal Cypriot vernacular contains many distinct forms of archaic origin not found in the present-day language of Greece. 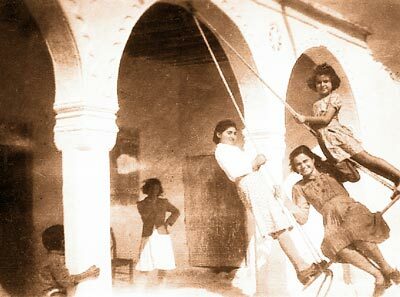 In addition the serial occupations endured by Cypriots over the centuries have left their mark in the form of a vivid multicultural vocabulary: extensive Ottoman, English, French, Italian and other foreign influences have been absorbed to create a powerfully evocative and expressive language. Spoken throughout Cyprus for many generations, Cypriot is also familiar to expatriate Cypriots in the UK, Australia, America and elsewhere. Important historic texts have been written in what is essentially Cypriot, notably the Assizes (the laws introduced to the island by the Crusaders in the Middle Ages) and Leontios Makhairas’s Chronicle of Cyprus in Frankish times. Despite this, and despite a rich poetic and folk tradition, Cypriot has never achieved proper recognition as a written language variety in its own right. Cypriot has been in decline since the 1950s as a result of the polarisation of the ‘Greek’ and ‘Turkish’ communities of Cyprus. Divisive educational policies and the media have marginalised Cypriot, as well as Gibrizlija, in favour of standardised language forms from the respective ‘mainlands’. The diminished status of the Cypriot language most particularly affects the newer generations of international Cypriots, who find themselves alienated from their mother tongue. When they try to learn the language of their parents and grandparents, they are introduced to unfamiliar ‘correct’ forms. They are made to feel ashamed of the supposedly vulgar way they speak at home. Not surprisingly, many Cypriots brought up outside Cyprus are unable to communicate effectively or confidently in their ancestral language. The Cypriot language traditionally used in Cyprus is a cornerstone of Cypriot heritage. The Cypriot Academy seeks to take a leading role in rediscovering and dignifying this distinctive language, making it accessible to Cypriots internationally. To this end the Cypriot Academy has devised a standard means of writing Cypriot using the internationally recognised Latin alphabet.